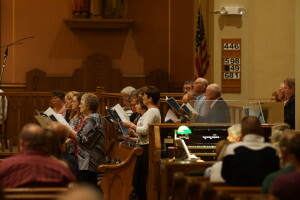 Music Ministry enhances and supports congregational singing during liturgies. Singing is a form of prayer. 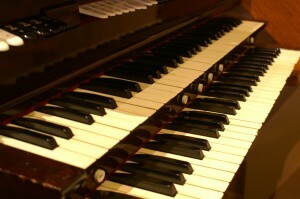 Roles in music ministry include being a cantor, pianist/organist, and instrumentalist. Cantors are the first to greet the assembly before Mass begins. The cantor leads the congregation in singing and provides leadership during the sung parts of the Liturgy. Time required: Cantors are scheduled on a rotating basis and practice as needed. Pianist and organist accompany the congregation for singing. Time required: Pianist/Organists are scheduled on a rotating basis and practice as needed. Instrumentalists are encouraged to share their musical talents at Mass or other events. There are many times throughout the year that instruments are needed to complement the musical portions of the Mass. Time required: Instrumentalists are scheduled on a rotating basis and practice as needed. Those persons who enjoy singing, are committed to serving God in a musical way, and are willing to attend regular rehearsals are encouraged to become part of the Saint Gabriel Choir. The choir sings about one or two Masses each month during the school year. Time required: Choir practice is on Wednesday at 7:00 p.m. for 1 hour in the church.